I did a painting for my favorite author! 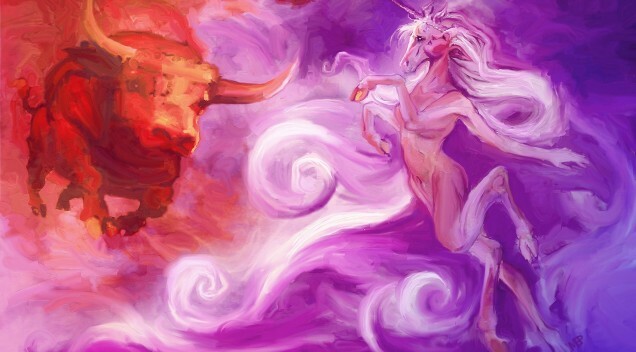 Home >> Blog >> I did a painting for my favorite author! I painted this from a sketch I did on my phone while I was in San Diego for the screening of The Last Unicorn, I printed it out and signed it for the author, Peter S. Beagle. How cool is it that you can get an idea down on your phone and then make it final on your computer? I remember when I had to keep pages of sketches in a book, and while that is nice and tactile, it’s nice to just be able to get an idea down and final it quickly. 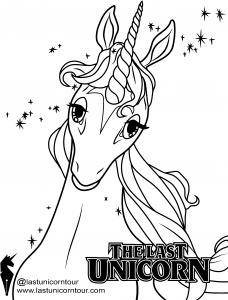 I posted a lot about The Last Unicorn on social media recently, and that’s because Peter was in town and actually, through a mutual friend, he ended up staying with me for the week while touring SoCal. It was a marvelous experience and I didn’t want to make a big deal about it while they were here, but I was so thrilled to have him and his crew visiting. I made some new friends in the wonderful Travis and Dave, and had some lovely early morning and late evening chats with Peter. I’m gonna miss those guys. 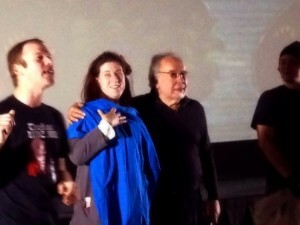 As an extra fun part, I actually won a Tee-Shirt in a raffle at the screening in Santa Monica. The Proof is in the blurry cell phone picture. The shirt says “Damn you, Peter S. Beagle, it’s all your fault!” and it’s in reference to him helping jumpstart the girly obsession with unicorns in pop culture. The house feels a little empty now that they’ve gone. Peaceful, but empty. 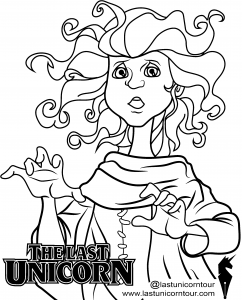 I also made some coloring book pages while they were in town. ← My Nerdy Clan Has Made a Video! Watch it!